Kerry A. Thompson Website Design - To blog or not to blog? A blog (short for what was originally called a "web log") is an informational source of news, stories, tips, and other helpful, interesting content that a website owner writes on a regular basis for his or her audience. One of the main reasons for having a website is to have a clear call to action that will help you make money if you are running a business or to attract financial supporters and volunteers if you are running a nonprofit. A call to action (CTA) could encourage visitors to request an estimate, contact you for a consultation, buy a product, make a donation, or sign up for your newsletter. An interesting blog is one way to increase the number of people visiting your site regularly. Each time you publish a new blog post, you can also promote it on your social media accounts or in a newsletter to widen the circle of prospective readers. It makes sense, doesn't it, that the more people you have visiting your website, the more people you will have following through on your website's call to action too? I've had a lot of clients ask me recently if they should add a blog to their website to improve their search results. If they have done any research on best practices for websites, they've read something about search engine optimization (SEO) and heard that blogging, blogging, and blogging some more is a great way to improve the chances that your website will show up in someone's Google search. The reasoning behind this advice is that good blog posts add more words to your website — those same words (called "keywords" in search technology) that people are searching for if they are interested in what you are doing. By creating new blog posts, the reservoir of keywords grows and continuously improves the chances that your website will be found in a search using Google, Bing, or some other search engine. That in turn brings more people to your website to be encouraged to follow through on your call to action. 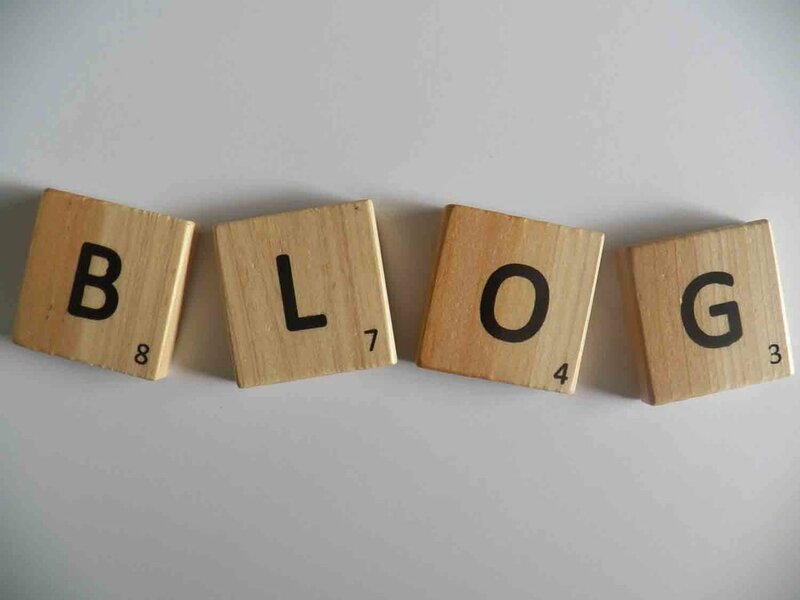 So should you add a blog to your website? My advice is, "It depends." The premade designs in both Weebly and Squarespace always include a blog design, so from a design perspective, it is simple to add a blog to your website. I've had clients who thought they wanted a blog for the reasons mentioned above. They took the extra time to add a blog to their new websites, choosing a banner image and styles that blended with the overall website design. Sometimes they went so far as to write the first blog when they launched their websites. And then they stopped and there were no more blog posts. The reasons varied: it was too time-consuming, they didn't enjoy writing that much, or they couldn't come up with ideas for what to write. If you are not committed to writing regularly for your blog (and "regularly" could be as frequently as once a week or as infrequently as once a month) or you just aren't that into writing, I advise you not to include a blog on your website. Writing one or two blog posts when your website launches and not adding anything new leaves visitors feeling that your website is outdated and stale, not tended to, like a garden that was planted, but didn't flourish. If you have a blog that has lain fallow for many months and you really don't want to continue it, I'd suggest disabling and hiding the blog and its posts so as not to give the impression of a website that's been forgotten. It's better to close down a blog than to keep one that doesn't grow. And if, like me, you decide you are committed to writing a blog, but the excitement and promise of writing a new blog post once a week starts to wobble after a few months, know that it's ok to change your blogging schedule to something less frequent, like bimonthly or monthly. What's important is providing new content frequently enough to keep visitors' interest and adding to your keywords reservoir without making yourself crazy. If you realize you're just not the writing kind and a blog isn't for you, take heart. There are other ways to attract website visitors and improve search results. To encourage website visitors, you can add new details to information that is already on your site, answer frequently asked questions (FAQ), add new products, post new videos or images with descriptive captions, and publicize events. For some types of social media accounts (Twitter and Instagram, for example), you can also embed a running copy of your social media posts in your website to provide a constant stream of new information and keywords. Image descriptions are added to the hidden words that fill the page. You can see an example of that technique on the Social page of my website. You can announce website changes in your social media accounts or in newsletter mailings or email campaigns to help bring those desired visitors to your website. All of these activities also add new words to your website and help fill and refresh the reservoir of keywords we talked about earlier to improve the chances of your website being found in search results. So the bottom line is: A blog is just one part of a multi-faceted strategy for attracting visitors to your website. If you don't enjoy writing, don't do it. Life as a busy entrepreneur or small nonprofit is too hectic to spend time on tasks that can be replaced with other activities that will provide many of the same benefits.